Klipsch Black Reference Theater Sound System is going to improve the Television audio significantly. If you have any intention to go on and take advantage of the rear channel surround sound effects, then you have an option. The best option you have is to go on and separate the AV receiver and the 5.1 speaker system. Despite this meaning a room full of speakers, then, they do not have to be huge to be able to create an impressive sound. 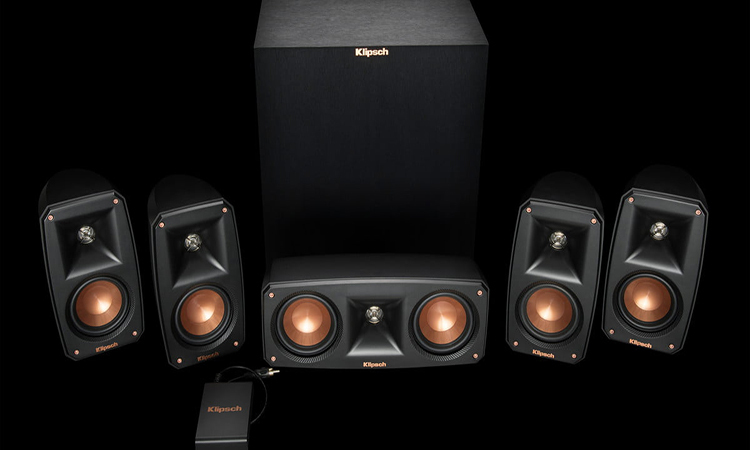 Klipsch Black Reference Theater Sound System is a very excellent choice for you. As it has been said earlier, this is one of the best home theater sound systems that you ever purchase. With it in the house, it is going to transform the way you listen to music as well and in general the entertainment levels in your home. However, there are some general questions which need to be asked. What does make it stand out? How effective it as an excellent choice of entertainment speaker? What extra does it offer that the other systems do not have? Well, keep reading to get answers to all these questions. Klipsch has been able to introduce a new 5.1 channel sat/ sub system. The system has been named Klipsch Black Reference Theater Sound System. It does consist of 4 satellite speakers, a dedicated center channel speaker and also a wireless subwoofer. This satellite and the center channel makes use of Copper Injection that has been molded with graphite and also measures 3.5 inches. Also, it has also used Suspension tweeters which measure 0.75 inches with the Klipsch’s Tractrix Horn technology. The ported subwoofer has the down-firing 8.0-inch woofer and the 150 watts high-efficiency digital amplifier. Klipsch Black Reference Theater Sound System can bridge the gap which is between the sound bars and the complex home theaters. It has 4 satellite speakers for the full cinematic surround sound. The dedicated center channel offers a very clear dialogue while the wireless subwoofer for the room filling bass. A wireless transmitter which allows for the versatile subwoofer placement in any of the room that you have. Not only the wireless subwoofer is so easy to place in any room but also every satellite speaker contains keyhole mount — the ¼ inches x 20 threaded insert for additional mounting options. 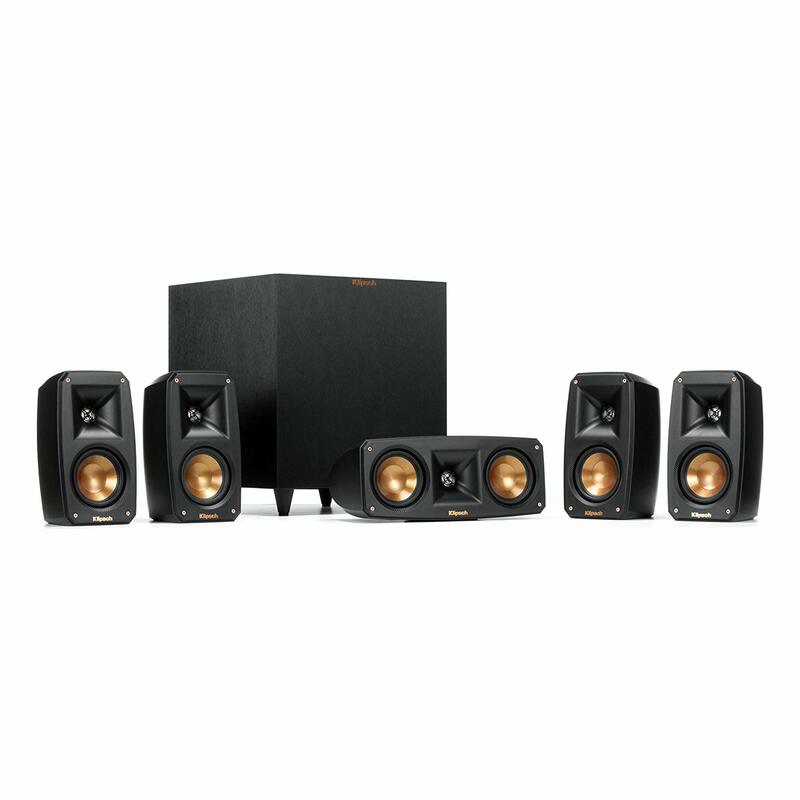 Klipsch Black Reference Theater Sound System speaker’s kit does offer advantages of the compact size and simplicity of the prepackaged system. All that you do need to do is to be able to add the AV receiver as well as the speaker cable. Frequency response: 110 Hz – 23 kHz. Power handling (Satellites): 50 Watts. Power Handling (Center): 75 Watts. Product Dimensions: 11.8 x 11.8 x 13.3 inches. Klipsch Black Reference Theater Sound System has been made using Tractrix Horn Technology as well as aluminum tweeters that get to deliver cleanest as well most natural sound possible. The down-firing wireless subwoofer has been designed to give the room filling low frequencies without taking too much space. To be able to complement easy placement of wireless subwoofer, every satellite speaker got keyhole mount. Also, it has a threaded insert that ensures maximum mounting flexibility. Klipsch Black Reference Theater Sound System lasts very long. 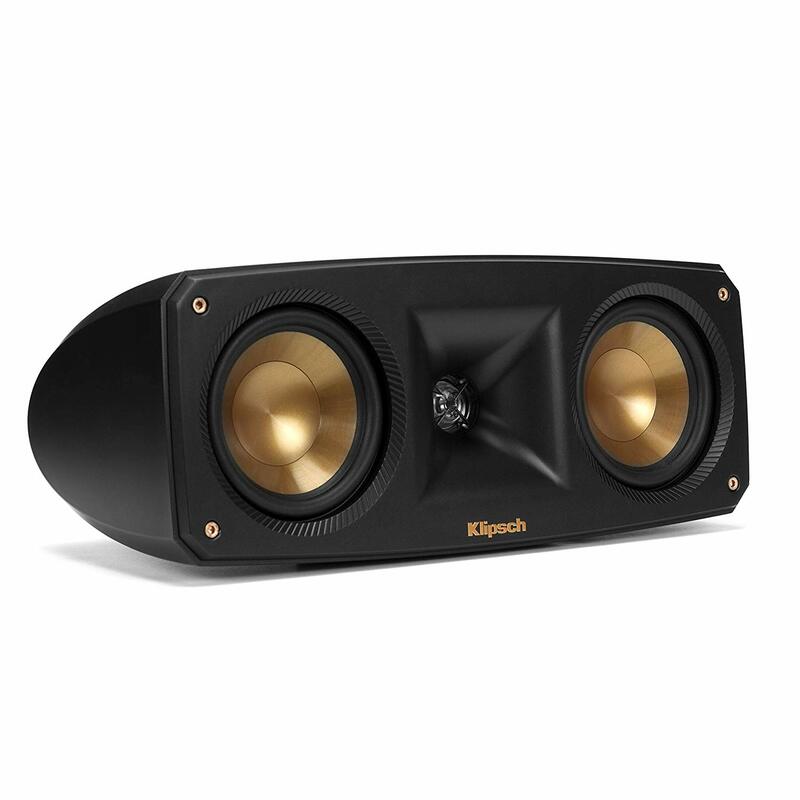 Klipsch Black Reference Theater Sound System delivers superior acoustic performance by being able to leverage Injection Molded Graphite woofers. With these exceptional cones which are lightweight and also extremely rigid. What this does is to provide a minimal cone breakup as well as a remarkable low-frequency response with low distortion. The linear travel suspension tweeter aids in minimizing distortion for enhanced and detailed performance. Making use of the LTS tweeters have gone and become a hallmark of the reference series product lines. This makes it the core component of among best speakers. Use of the Tractrix Horn Technology, as well as aluminum tweeters, get to deliver a very impressive high-end response as well as greater extension. Also, it also offers powerful dynamics as well as enhanced imaging. This does create cleanest and most natural sound possible. 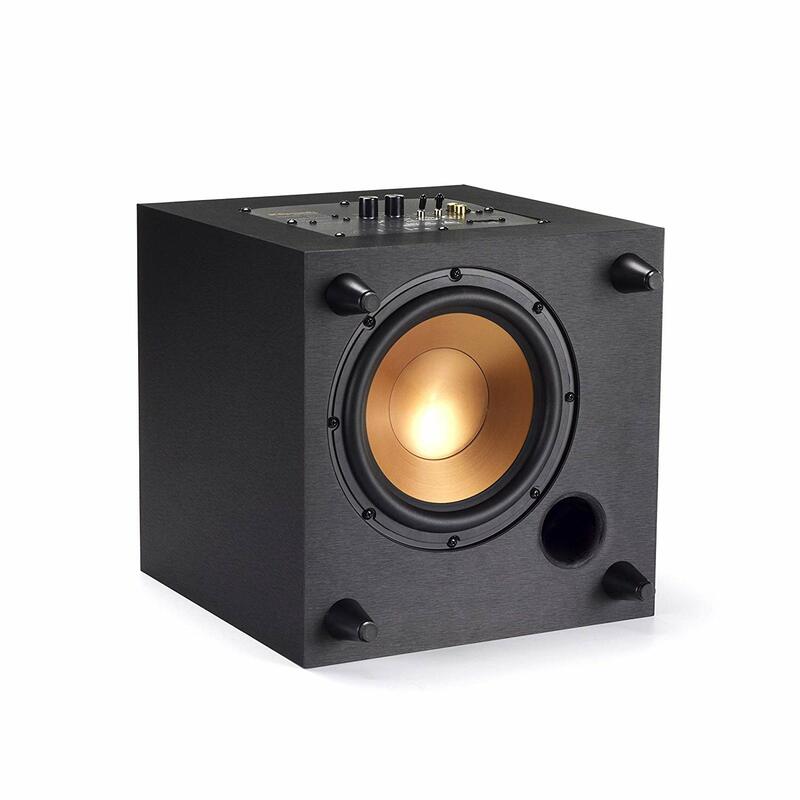 The down-firing wireless subwoofer has also been designed to offer room filling low frequencies with no much space. 2.4 GHz connectivity do allow for the premium and great CD quality sound in a room. All you need is to connect the compact and pre-paired transmitter to a subwoofer or the LFE out on your receiver and place subwoofer where it sounds and also fits best in the home. Inbuilt all digital subwoofer amplifiers get to deliver ample power with very high efficiency and also true to source accuracy. It does not take a lot of space in your home. Klipsch Black Reference Theater Sound System are very tiny hence makes relatively low bass. They are three decibels down at the 110 Hertz if you can keep track. This implies that the crucial AV receiver bass subwoofer is to be set at least 100 Hz for all speakers. Also, speakers sound quite directional hence there is a need for the aiming of the five speakers towards the main listening position for excellent sound quality. 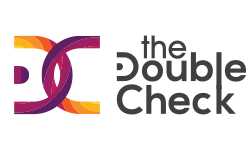 For the optimum performance, you have a trick to achieve this. Get to place the subwoofer in the corner of a room on the same wall as the front channel speakers. It is important that room placement can have a dramatic effect on the performance of the powered subwoofer. Corner placement is going to increase the amount of the bass output. Give and a try and enjoy the best music at the comfort of your sofa.